Visitors are invited to learn about the latest developments and talk about their needs with our experts. The latest weaving technologies offer new production solutions for challenging applications in the automotive, medical, industrial, safety, and other sectors. 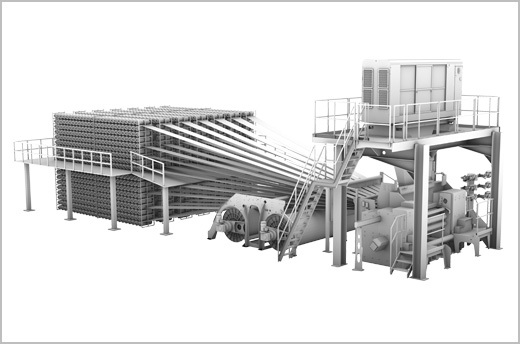 Weavers worldwide seek to optimize their production processes. Stäubli’s weaving-preparation machinery supports them in this with automation solutions for efficient warp and style changes. Stäubli’s wide range includes machinery specifically developed for technical applications, e.g. the MAGMA warp-tying machine for coarse yarns and tapes or the SAFIR S30 warp drawing-in machine, which prepares perfectly aligned glass-fiber or filament warps. Stäubli is one of today’s leading providers of Jacquard machinery for OPW (one-piece woven) airbags. Weaving mills around the globe trust in the robust LX/LXL/LXXL series to provide the automotive industry with first-class airbags in any format for all-around protection. Running precisely and absolutely reliably at the highest production speeds, these machines fully meet weaver’s requirements for an efficient weaving process. 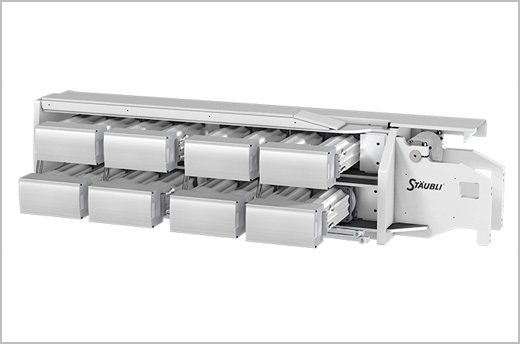 The paper industry relies on weavers equipped with Stäubli’s heavy-duty dobbies like the servo-controlled UNIVAL 500 series with independent drive for each frame. 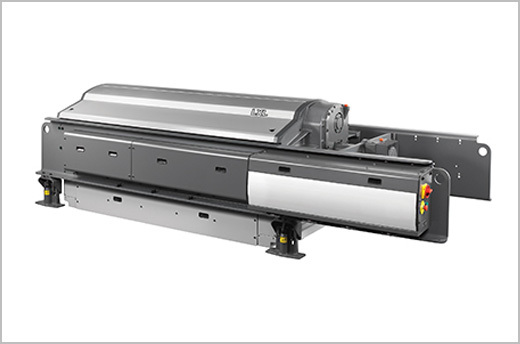 With their unique construction, these machines ensure heavy stroke forces for woven applications that require high warp tension, such as filters, and they allow vast design possibilities in order to achieve a wide range of fabric properties. With its extensive experience and intensive R&D activities, Stäubli has developed outstanding expertise in binding technology. This formed the basis for Stäubli to develop the TF20 weaving system for complex technical textiles. With an individually configurable machine setup, this system can be perfectly tailored to each weavers’ needs. Mills using the TF20 system can produce unprecedented fabrics – such as spacer fabrics or heavy, very thick, and/or very dense multilayers – and they can combine various fabric properties and materials. This opens the door for imagination and ingenious ideas in terms of design and product development. Visit Stäubli at Techtextil. Our experts look forward to discussing your needs with you – and you are sure to find inspiration for your next innovative creations.